The Xebia KnowledgeCast is a podcast about software architecture, software development, lean/agile, continuous delivery, and big data. In this 6th episode, we switch to a new format! So, no fun with stickies this time. It’s one interview. And we dive in deeper than ever before. 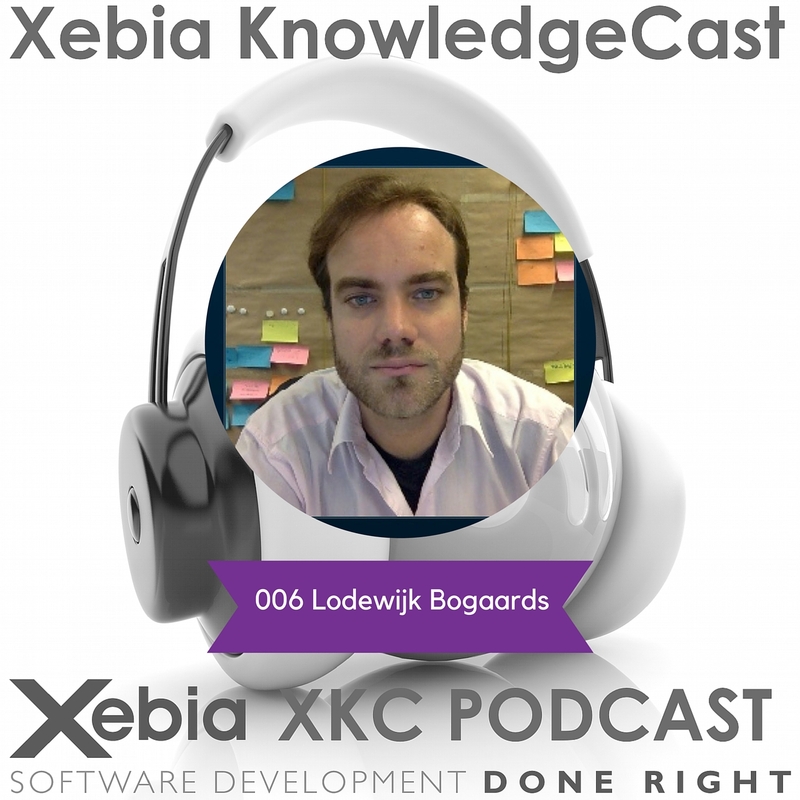 Lodewijk Bogaards is co-founder and CTO at Stackstate. Stackstate is an enterprise application that provides real time insight in the run-time status of all business processes, applications, services and infrastructure components, their dependencies and states. Xebia KnowledgeCast Episode 4: Scrum Day Europe 2013, OpenSpace Knowledge Exchange, and Fun With Stickies! In this fourth episode, we share some impressions of Scrum Day Europe 2013 and Xebia’s OpenSpace Knowledge Exchange. And of course, Serge Beaumont will have Fun With Stickies! First, we interview Frank Bakker and Evelien Roos at Scrum Day Europe 2013. Then, Adriaan de Jonge and Jeroen Leenarts talk about continuous delivery and iOS development at the OpenSpace XKE. And in between, Serge Beaumont has Fun With Stickies! we get a bit more technical with me interviewing some of the most excellent programmers in the known universe: Age Mooy and Barend Garvelink. Then, I talk education and Smurfs with Femke Bender. Also, I toot my own horn a bit by providing you with a summary of my PMI Netherlands Summit session on Building Your Parachute On The Way Down. And of course, Serge will have Fun With Stickies! In this second episode, Agile Clinic Doctor Kristian Spek talks about one of his patients at XebiCon 2013. Then, Jan Jouke van der Zee from CJIB takes us through his key takeaways of XebiCon 2013. Third up is our regular section in the Xebia KnowledgeCast: Fun With Stickies by Serge Beaumont. In this episode, Serge talks about the dotting trick and the blocked waiting-for column. Finally, we try something new on the podcast with a Skype interview. Nicole Belilos explains the gist of her popular XebiCon 2013 session on Dealing With People You Can’t Stand and tells the audience which book to read. Podcasts are a passion of mine. I love to listen to them, and I love to create them. But, not unlike writing, what I love even more is thinking about creating podcasts. I’m a natural born procrastinator, but I’m recovering. That is why I’ve volunteered to reboot the Xebia Podcast by Serge Beaumont and Robert van Loghem. The Xebia KnowledgeCast will be a bi-weekly podcast about software architecture, software development, lean/agile, continuous delivery, and big data. Also, we’ll have some fun with stickies! In this first episode, Guido Schoonheim explains why he has high hopes for the Xebia KnowledgeCast Reboot, before sending me off in search of content. Then, Jacqueline Evers shares her views on work-life balance. For some reason, a lot of lean/agile coaches seem to suffer from a lack of it. Why is that? And what can you do about it? 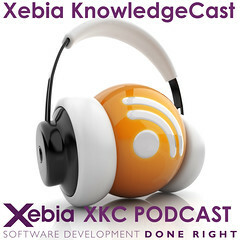 Third up is our first regular section in the Xebia KnowledgeCast: Fun With Stickies by Serge Beaumont. In this episode, Serge talks about the ISAS acronym he uses when coaching lean/agile teams. The acronym stands for Identity, Stability, Autonomy, and Scientific. On the 15th of April the NLJUG (Dutch Java User group) will be holding their J-Spring conference. Four Xebians will be presenting. Every week we’ll be providing a sneak preview on the podcast of one of those presentations. The second sneak peek is about The Java Persistence API – How do i build a real application by Vincent Partington. The preview is in Dutch, a full interview in english will be coming in about 4 weeks. You can find more information here or read Vincent’s JPA blog series. The first sneak peek is about Software Transactional Memory by Peter Veentjer. You can find more information at the NLJUG presentation page. Peter’s presentation is from 11:20 to 12:10. This preview is in Dutch. After the 15th we’ll be doing a full episode in english about STM.